As a working mother, since January I still can’t find time to bake anything. This is really bad and I am starting to feel restless (you never know when I will explode by producing a big quantity of cookies and cakes!). In the meantime I can show few things from last year that haven’t been published yet. Looking back now I can say that 2015 for me was the layer cake year. I think I made quite a lot of them: some for special occasions, others just for fun (and for my indulgence). 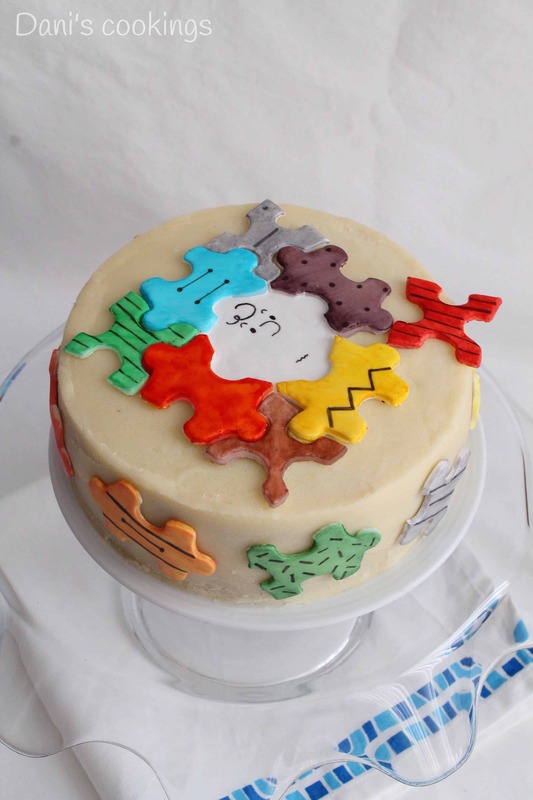 Today’s cake was made for a competition – same as this one. I didn’t have much hope that I could win a prize with it, considering all other elaborated entries. Nevertheless I really wanted to participate and I am very glad I did. 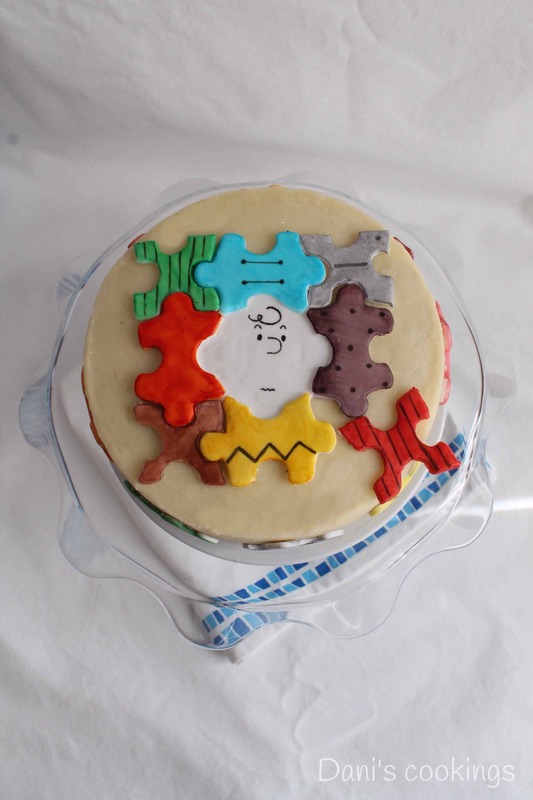 More about the preparation process of the puzzle cake with ricotta filling you can find here. 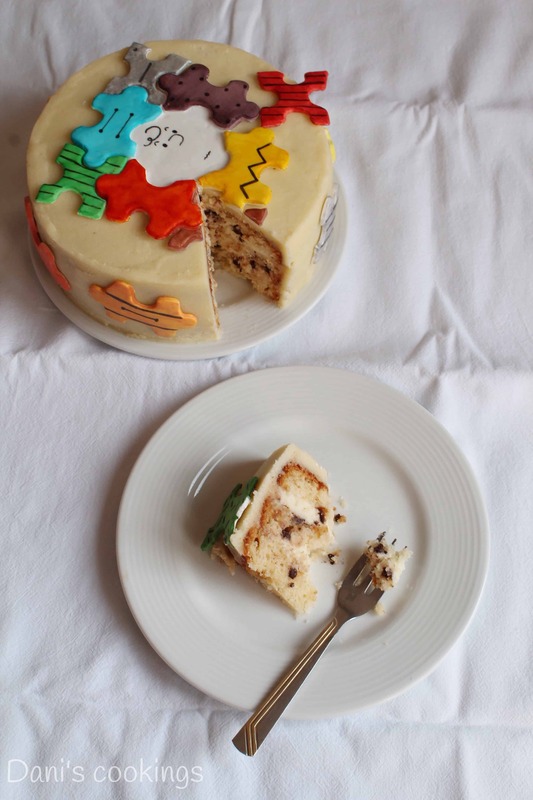 Below is the recipe of the cake and some more pictures of the final product. Grease a 17 -18 cm cake pan and line it with a circle of baking paper. Preheat oven to 180°C. In a separate bowl combine oil, butter and sugar and beat until smooth. Add vanilla extract, eggs and yogurt and mix well. Add the flour mixture and whisk until homogeneous. At the end add the chocolate chips and stir carefully until just absorbed in the batter. In a large mixing bowl cream together butter and vanilla. Add in confectioners sugar, 100 g at a time, beating well after each addition. Add the milk and continue mixing until light and fluffy. In a large bowl beat together the buttercream frosting with the ricotta until homogeneous. 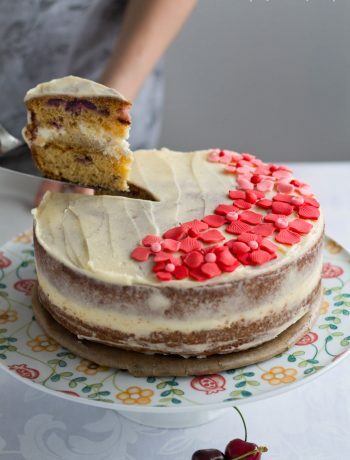 When the cake base is completely cold, use a serrated knife to cut it horizontally in 3 equal layers. 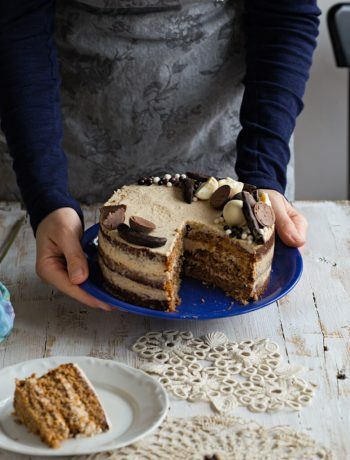 Place one layer on a serving plate or on a cake stand. Spread half of the Ricotta frosting over it. Cover with a second layer and spread the rest of the frosting on top. Cover with the third layer. 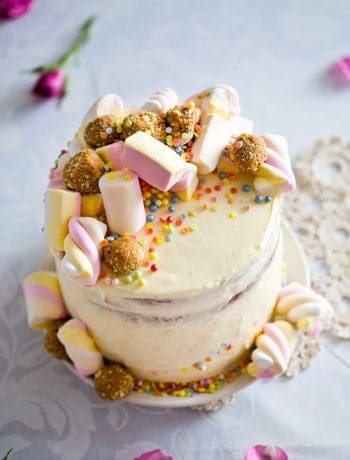 Wrap the cake tightly with plastic wrap and refrigerate for at least 2-3 hours.